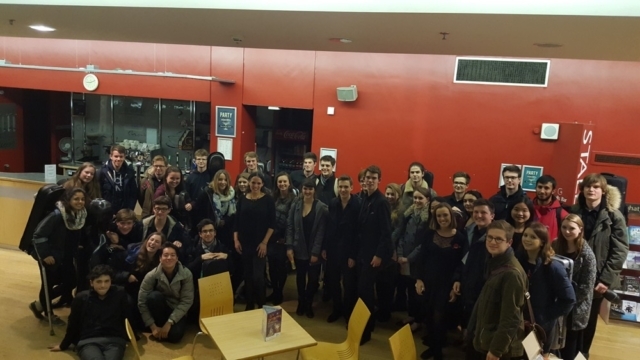 Durham University Orchestral Society conducted by Alex Mackinder (student at the University) put on 2 sold out performances at Durham Gala Theatre on November 4th 2016. Both were brilliantly received. The afternoon screening was introduced by Alastair Fraser (author of Ghosts on the Somme). 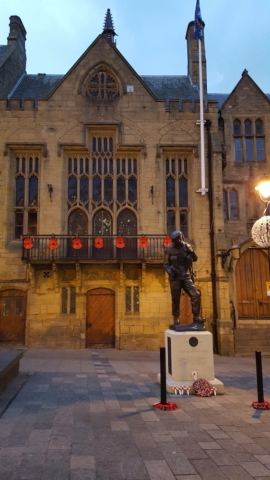 I was lucky enough to meet him afterwards for a drink in the tea rooms by Durham Castle. 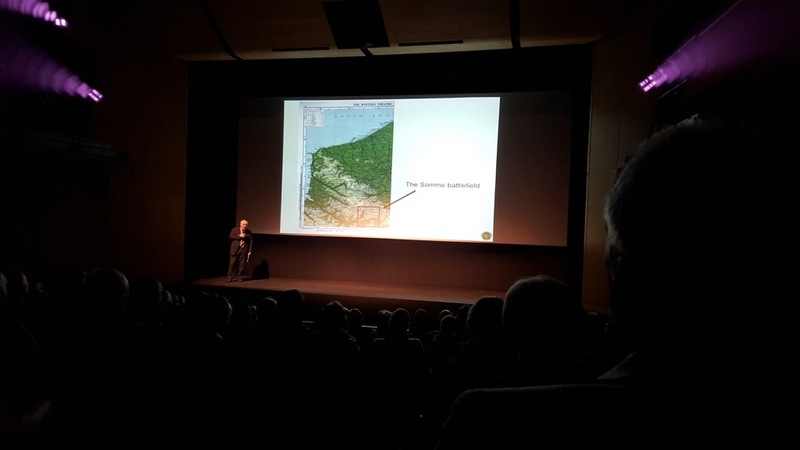 Alastair spent years researching this film and knows it inside out. 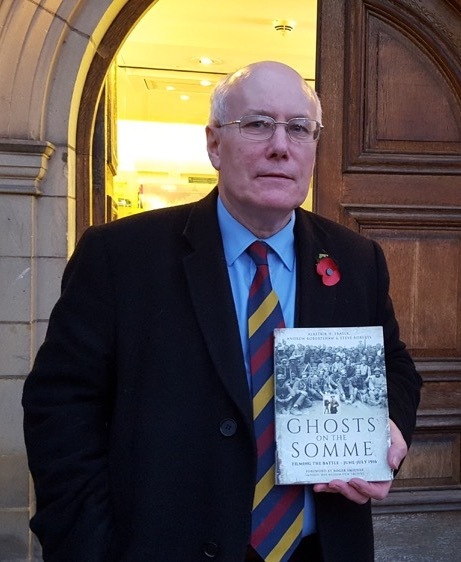 I would thoroughly recommend reading his book to get a great insight into the film – it even includes some info on what the soldiers were actually saying. 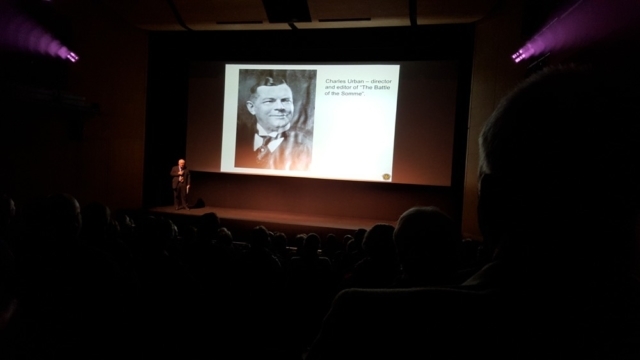 I introduced the evening screening and spoke a bit about the film and also how I wrote the music. Alex did such a fantastic job of conducting this – he had it perfectly in sync and put such expression into it. He studied the score really well and even came along to Chetham’s screening to learn from Stephen Threlfall conducting Chetham’s Sinfonia. It was clear from chatting to him back then that he new the score really well months in advance. 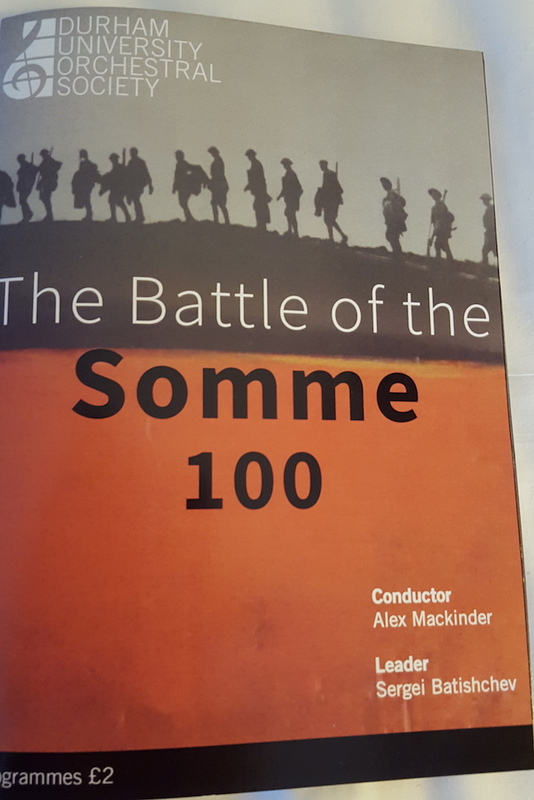 Durham University Symphony Orchestra (DUOS) is playing a unique part in a worldwide commemorative event marking the 100th anniversary of one of the bloodiest battles of the First World War. 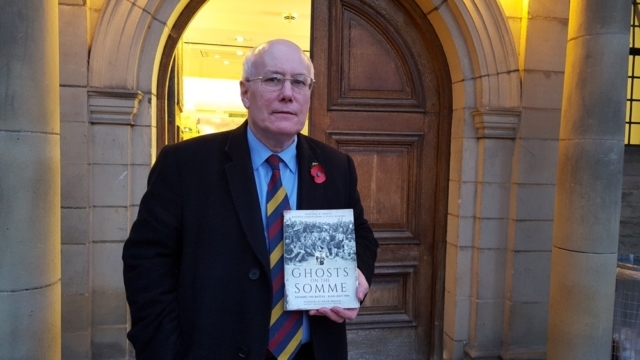 The orchestra, made up of students from Durham University, will provide the musical accompaniment to the film ‘The Battle of the Somme’, being performed at Durham’s Gala Cinema. Filmed in 1916 at the actual battle, The Battle of the Somme remains one of the most successful films ever made. In 1916 it was seen by over half the adult population of the UK, and remains the source of many of the most iconic images of First World War. The 74 minute documentary has been painstaking restored frame by frame, and as part of an international project to mark the 100th anniversary, there will be 100 screenings taking place across the world. DUOS will perform the musical score commissioned by the Imperial War Museum and written by UK composer Laura Rossi. 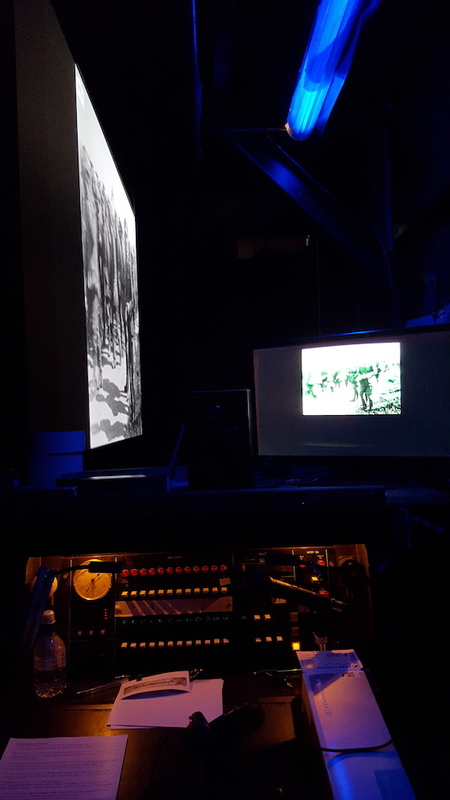 With deeply affecting footage accompanied by a poignant score, this promises to be a memorable evening to mark a significant moment in history. 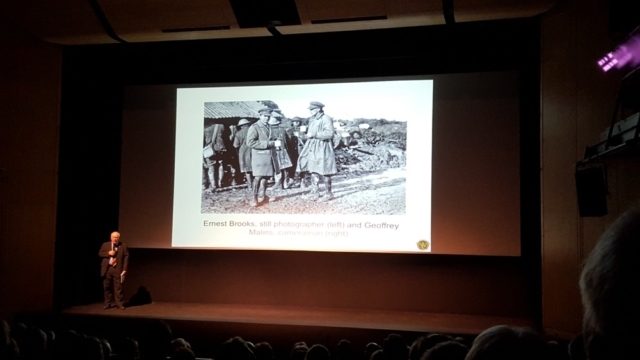 DUOS has been involved in the Somme100 project since March of this year; the decision to take part was made by last year’s society exec, and when they passed the baton over to the current committee, to be the first big concert of the year. 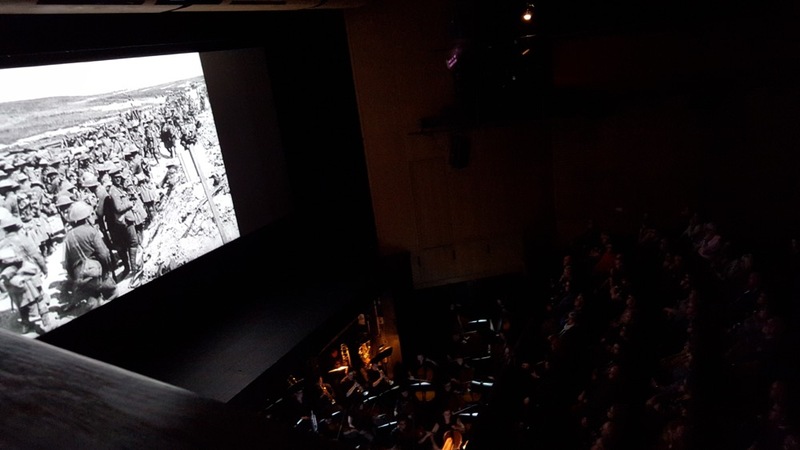 The opportunity for orchestras to play contemporary music, especially music written this century is very rare, and it is even more extraordinary to play a film score with a live film! For all the students involved, taking part in a worldwide project to commemorate such a focal point in history is truly a once in a lifetime opportunity. Student Alex Mackinder who will be conducting the orchestra explained, “To see the Battle of the Somme silent film accompanied by a live symphony orchestra is truly extraordinary. The music we are playing is incredibly well written and complements the film brilliantly; the film itself is incredibly harrowing – the only film ever created to feature dead British and German soldiers – and the emotions it elicits from any audience will be significantly augmented by the music they will hear. 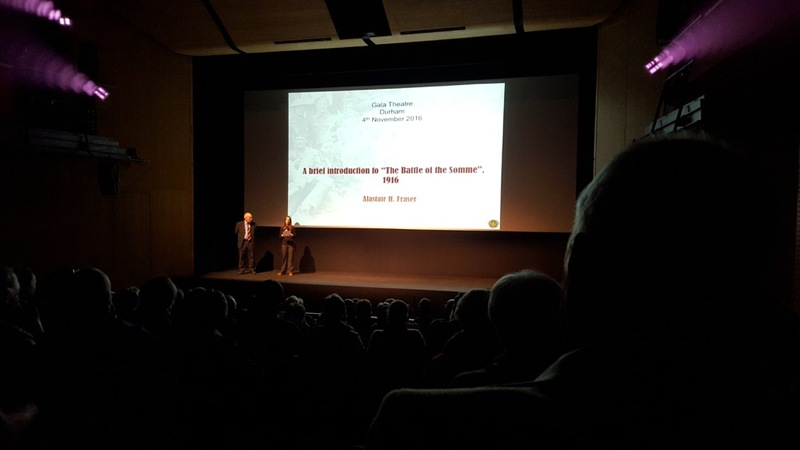 The ‘Somme100Film’ was always going to be a special event. 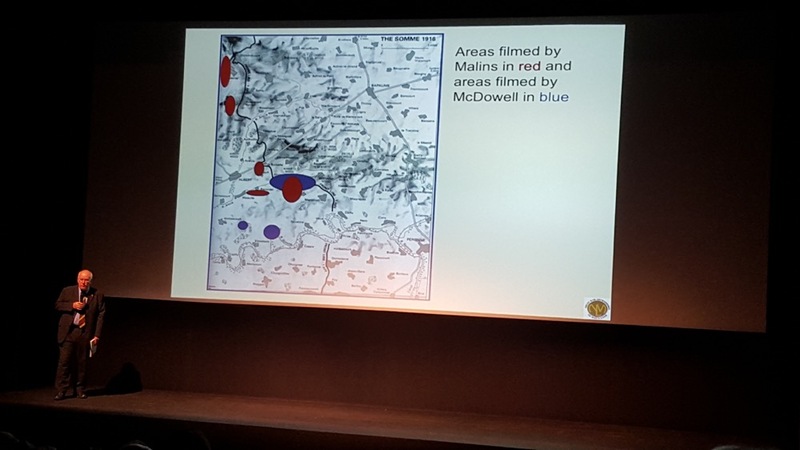 The aim of the project was to bring together 100 live performances of the iconic 1916 film ‘The Battle of the Somme’ with composer Laura Rossi’s acclaimed score, commissioned by the Imperial War Museum. 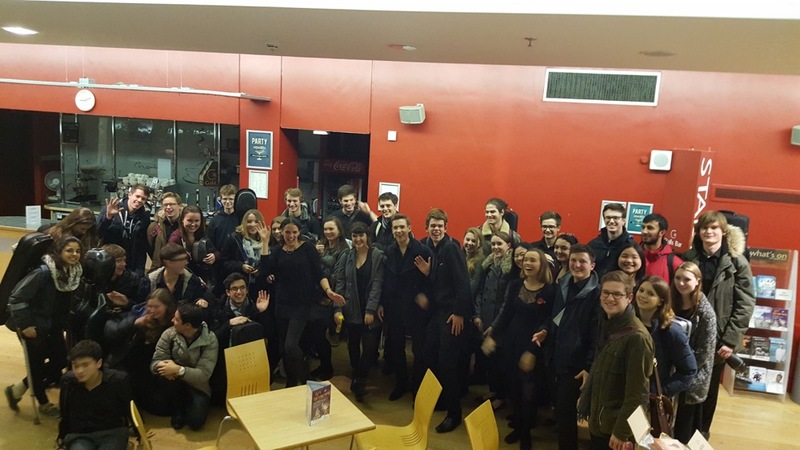 Durham Orchestral Society were one of the orchestra’s chosen to participate in this event with two performances. The international project has already had thirty-one productions, but tonight’s performance was particularly significant due to the atmosphere, venue and not least of all, the orchestra. The evening began with an introductory talk from the composer herself, Laura Rossi. Setting the scene for what was to follow, Rossi discussed some of the challenges when writing music for such a sombre film. Getting the right balance between reflective music for dark scenes and uplifting music for happier scenes would be a test for any composer, but Rossi does it perfectly. Rossi also spoke of her own uncle serving in the First World War, which gave this commission a personal touch for the composer. Her last remarks were that she wanted to leave “homage to all who fought and died in the war”, and certainly after tonight’s performance, she can be glad and proud that she did. 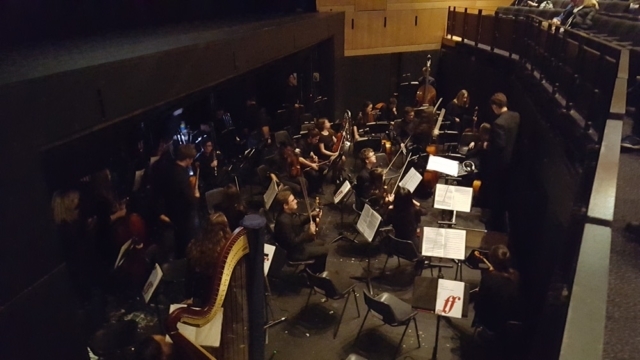 This was the first event of the year for the Orchestral Society and given the previous successful performances from other orchestra’s participating in the project, there was a lot of pressure. However, the orchestra did not fail to exceed expectations. The film was split into five parts with the orchestra demonstrating their skill and organisation in the first section. The synchronisation between the silent film and the ensemble was beyond impressive. Particular praise should be given to the percussion section, notably Joshua Cavendish on Timpani, who was metrically in time with the blasts and cannons on screen. 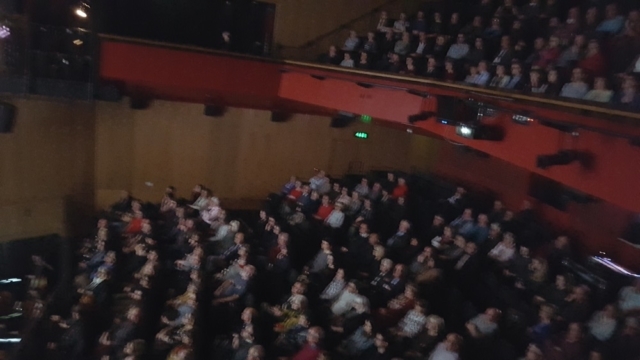 The second part of the film saw excellent eloquent woodwind playing, especially from the clarinet and flute section. Ellie Knott demonstrated exquisite technical skill on the piccolo, particularly during the faster passages. However, in the third section the spotlight was on oboe player Freddie Hankin who doesn’t disappoint. His passionate playing and expressive tone accompanied the film perfectly. His solo, accompanied by the rich string section and articulated harp playing, made this section of the film one of the most moving parts. The final parts of the film demonstrated the high standard of the brass players in the orchestra. A beautiful, souring solo by Holly Greenwood-Rogers, heard in the fourth section, displayed the remarkable tone that she is capable of with the French Horn. Her solo captured the solemn, but reminiscent message the composer was trying to convey. This was followed by an exceptional performance from Noah Lawrence on the trumpet in the fifth part of the film, who demonstrated a warm and excellent vibrato. 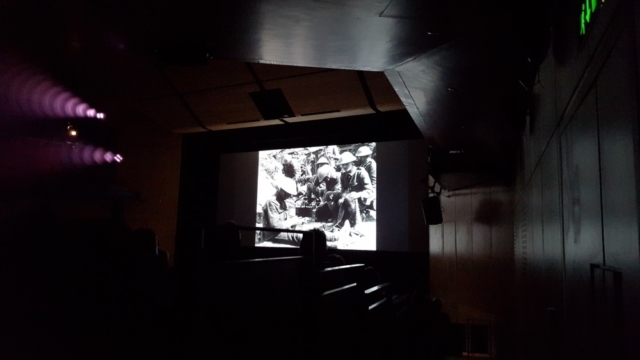 The ending of the film pictures waving soldiers and Rossi’s music does an exceptional job of reminding the audience of the solemn nature of this picture, but at the same time, allows them to leave with a feeling of remembrance and appreciation for those who fought in this war. The success of this production was down to the spectacular music written by Rossi and the performance from musicians in the orchestra. However, there was one person that truly made this event a success; the conductor. Debuting his first performance with the Orchestral Society, Alex Mackinder had quite a challenge on his hands. Not only did he have to lead the orchestra, but he had to ensure they were perfectly in time with the film, which he did flawlessly. It was done so well, that if it was not for the powerful sound from the orchestra, one would have thought that the music was already pre-recorded to the film. 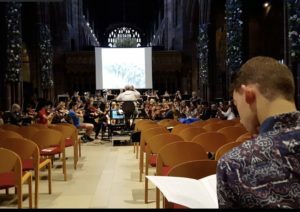 Alex and the orchestra’s performance was impeccable and considering they have only been rehearsing for a few weeks, makes me very excited for their next concert on Saturday 26th November, in Castle’s Great Hall. If they play Mendelssohn, Brahms and Delius as well as they played Rossi’s work tonight, then that evening will be spectacular. Laura Rossi stated at the start of tonight’s performance that she wanted to do justice to this iconic film. It can certainly be said that after this production, she, Alex and the orchestra, certainly have.